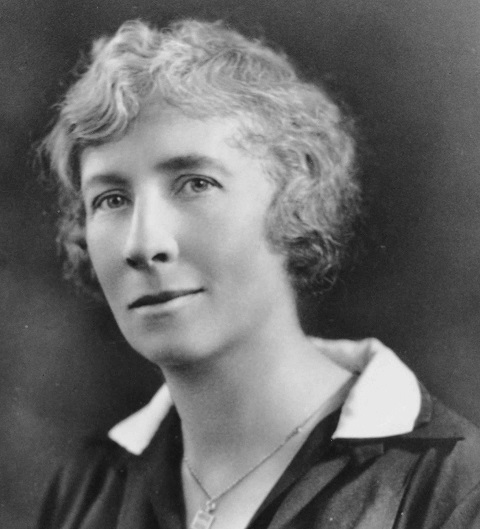 The Gilbreth Postdoctoral Fellowships at Purdue Engineering are awarded in memory of Dr. Lillian Moller Gilbreth, Professor at Purdue from 1935-1948. A world renowned pioneer in the application of psychology to industrial engineering, Dr. Gilbreth’s work epitomized interdisciplinary research and broader impact on industry and society. Dr. Gilbreth laid the foundations of modern industrial engineering, invented designs of consumer appliances, hospital, office, and sport equipment to make work and life easier, and was a consultant to many major corporations. She was elected to the US National Academy of Engineering (NAE) in 1965 and awarded the prestigious Hoover Medal in 1966 for “contributions to motion study and to recognition of the principle that management engineering and human relations are intertwined.” The NAE also established the Gilbreth Lecturership in 2001 as a means of recognizing outstanding young American engineers. Beginning in 1930, by serving on President Hoover’s Emergency Committee on Employment, she was an advisor to five U.S. presidents on committees dealing with civil defense, war production, and rehabilitation of the handicapped. She also received more than twenty honorary doctorates from prestigious institutions. Purdue University’s e-archives and special collections feature many historical materials on Dr. Gilbreth’s life and career. The Lillian Gilbreth Postdoctoral Fellows are selected not only for their outstanding scholarly achievements and proposed innovative interdisciplinary research but also for their potential for broader impact on industry and society. They undertake research with faculty mentors in different fields and participate in professional development activities tailored to their chosen path in academia. Note: A candidate's Lillian Gilbreth Postdoctoral Fellowship co-advisor(s) cannot include their PhD thesis advisor(s). Gilbreth Fellows will have two co-advisors. One faculty co-advisor must have a primary appointment in an Engineering school/division. The second must have a primary appointment in a different Engineering school/division or at a non-engineering department at Purdue. An additional third collaborator from within or outside Purdue can also participate in the project. Applicants can (a) propose their own innovative research proposal and suggest potential Purdue co-advisors, or (b) choose to develop their proposal based on interdisciplinary topics already posted by faculty on the fellowship website. The Gilbreth Fellowship is a full time appointment and the Fellows undertake research with their faculty co-advisors, participate in professional development activities, and are required to prepare and submit short annual reports on their achievements. Gilbreth Fellows are appointed for a two-year term, and receive an annual stipend of $60,000 and benefits. A $5,000 grant is also provided for professional development such as attending conferences or workshops and are mentored for their future academic careers through a variety of programs. Cover letter describing how the Gilbreth Fellowship will help the candidates progress toward their goals in Engineering academia. If you have questions about the application process, please contact Marsha Freeland, mjfreeland@purdue.edu. Awa​rdees will be selected based on faculty committee recommendations and approval of co-advisors and school/division heads. Gilbreth Fellowship awardees will be announced on March 15, 2019. Fellowship start dates must be in 2019, and for international applicants, the dates must allow for sufficient time for awardees to secure the relevant visa. July 2019: call to engineering faculty to post research topics on the LGPF website. December 6, 2019: Deadline to receive full application packets with recommendation letters.